Do you own any Too Faced Bronzers? There are A LOT of them! Last year, Too Faced had a crazy 50% off sale and I was able to complete my collection. I also kept the bronzer campaign they used last year, to see how they applied on me (versus the model). Too Faced makes some really good bronzers. Each has their own personality. Do you need all of them? Definitely not, and I hope this review helps you select which one is right for you. I also included in this review, pictures of my Sweethearts Sweet Tea and Milk Chocolate Soleil Bronzer which I reviewed in the past. The only Too Faced bronzers I do not like anymore, are the Soul Mate ones Too Faced came out in '15. I recently tried them again and they're pulling very orange on me. Looking back at my pictures, they were rather orange! LOL So I'll be throwing those away. Too Faced stop selling those anyway. Okay, onto the review! Enjoy! If I had to suggest only ONE bronzer out of the entire Too Faced Bronzer Collection for you, I would pick Sun Bunny. This is a bronzer, anyone can wear. It's not too light. It's not too dark. There are two sides to this pan. One side is a pink brown. The other side is medium brown. Swirled together, they give a soft, glowing natural tan. I love it. Wanna take your tan deeper? Then pick up Beach Bunny. This bronzer is not for the faint of heart. You have to use a very light hand when applying this, despite the browns, pinks, and golds you see here. At first, I applied too much and my mom said Kim you look more like a Burnt Bunny! LOL My mom is a little darker, so she wears this much better than me. I gave it to her. But I used a light hand below. 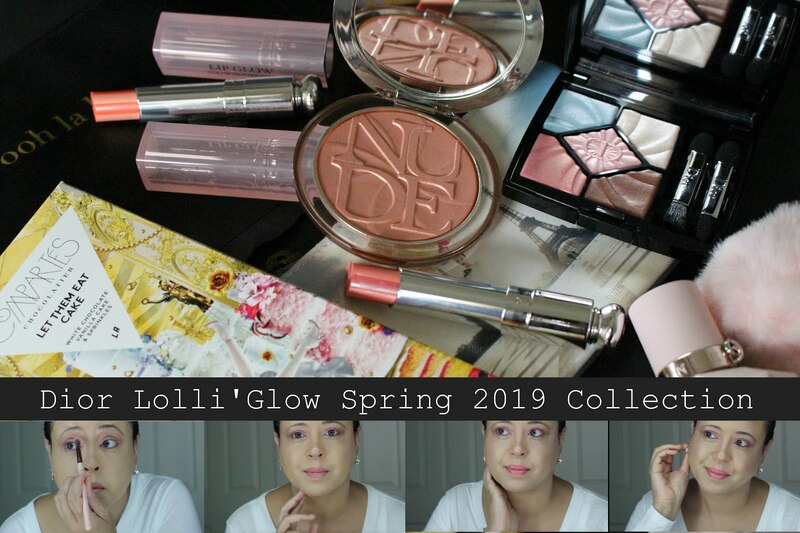 I first tried Snow Bunny in '14, when I purchased Too Faced Beauty Wishes & Sweet Kisses Set. As the name suggests, Snow Bunny is more for Winter. The white & pinks in the pan give an icy effect. As you can see from my nose & inner cheeks. Right now it's 90F here in New Orleans, so I'm not quite into Snow Bunny at the moment. LOL So click on the link above to see how I wore it when it was cold. I did not know how I would feel about Pink Leopard. You know how I feel about some pinks! Well, I think I love it better than Snow Bunny! It really adds light to your face. A different light than Snow Bunny. When Too Faced says this bronzer is a skin BRIGHTENER, they are not kidding! But with this added light, this bronzer emphasizes EVERYTHING! Pores, imperfections and all. So your skin has to be in tip top shape! This is another favorite of mine. This is a baked bronzer that will leave you bronzed and add a little gold metallic to your face. It can be very subtle or you can make it very intense (contouring). 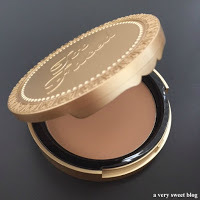 Read my original Too Faced Sweet Tea Bronzer review here. Out of the three, I only have Milk Chocolate Soleil. I'm laughting at my original picture below, because I think I have 3 layers of it on here. Milk Chocolate Soleil is really not that dark. If you just need a matte bronzer, then go with Milk Chocolate Soleil. 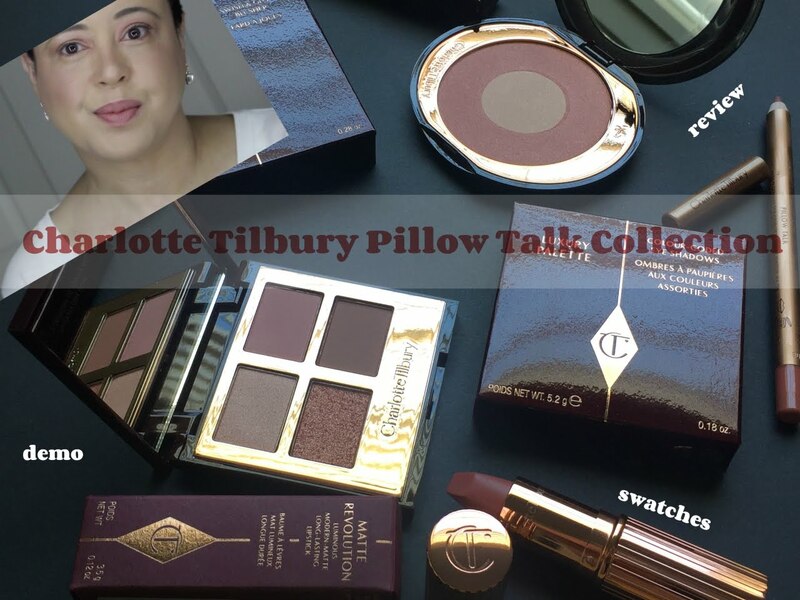 Chocolate & Dark wouldn't work for my complexion but would be great for darker skin-tones. 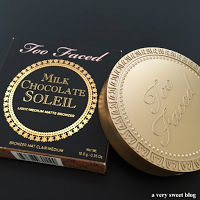 You can read my original Too Faced Milk Chocolate Soleil review here. I only have one bronzer, the one from The Body Shop, and never really looked into others. Somehow I dont reach for them very often. Which is strange, given that I am quite pale and don't really tan. I actually really like snow bunny, although it's not your current favourite of the group. Oh I love the names! Very fun and they look so pretty on. I like the pink leopard one. Looks great on you. I don't own any Too faced bronzers but I love my ones from Mac and Guerlain. Pink Leopard is such a fun one! Now that I think about it, I haven't actually tried any Too Faced makeup despite seeing the brand all over the place. Their products do have fun names and I like the look of the Sun Bunny. 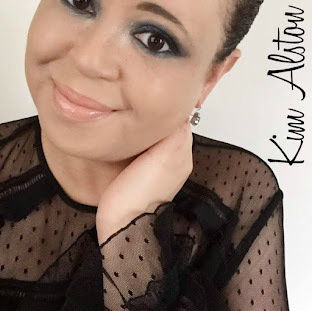 Thank you for trying all these all and sharing your opinions Kim! I have Too Faced Chocolate Soleil in Dark and I love it! It gives the most beautiful bronze to my skin and I need to try the other bronzers from Too Faced. For some reason I'm drawn most to sweet tea- maybe it's the packaging haha but I've been wanting it! I have a mini of the chocolate bronzer and still not sure how I feel about it. The milk chocolate felt too light for my skin tone. Thanks for such a great roundup review! I've never tried anything by this company, but I think you may have just convinced me, their products look so good. 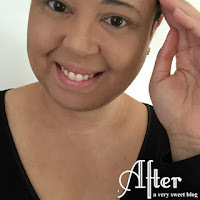 The truth is that I have almost never used suntan powders, because in the summer I quickly tan, but there is no doubt that this brand has a very natural finish and a presentation that always makes you want to try your products. I think too faced makes some of the best bronzers too! Snow bunny was the first Bronzer I ever bought, and I bought pink leopard short after. I had no idea what to do with them or how to wear them! I used the leopard one as more of a blush. I should pull it out of my collection and use it more. I also have milk chocolate, the original chocolate and sweet tea. I've been using Sweet Tea every time I do my makeup lately. These all look beautiful on you Kim! I'd love to add beach bunny to my collection! 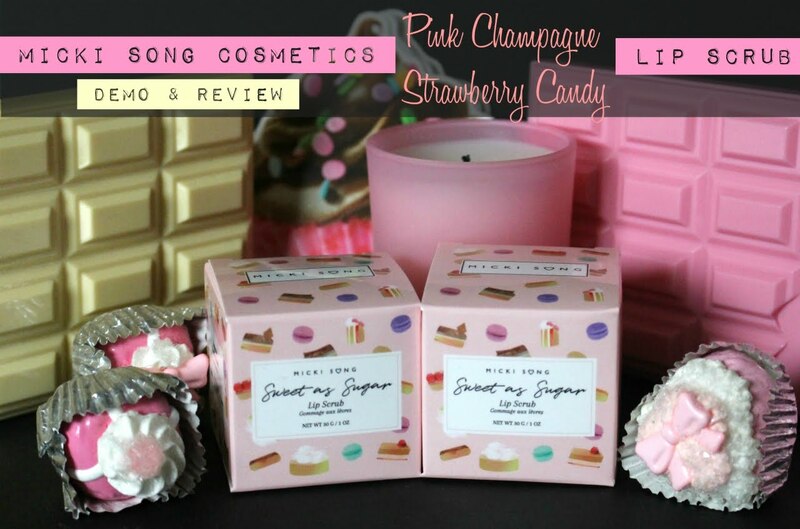 Ohhh love the packaging and I'd probably buy the pink leopard. These all look so good,great post! Too Faced bronzers are amazing, I love the brand! I've wanted to try Two Faced bronzers. A friend of mine raves about them and with your seal of approval I might as well get on the bandwagon hahaha! I do love the 'Sun Bunny" one on you. Such a gorgeous shade. I'm not a huge bronzer person, but the Milk Chocolate and the Leopard ones look like something I would use. I received a sample of the medium chocolate bronzer, but it's too dark for me. I've had almost every bronzer Too Faced makes, over the years, but the only one I've ever really loved is Pink Leopard. I find most of the other shades pull very orange on me. I love the way Pink Leopard looks on you, too! Thanks for such tips and nice blog. I've heard amazing things about the too face bronzers. I definitely plan to pick up the too face chocolate solei bronzer. The leopard shade is gorgeous! I love how it brightens up your face! I have the Sweetheart bronzer but till this day I still haven't tried it, I gotta admit I bought it for the packaging. But seriously though, you're so lucky that you bought all these during their 50% off sale! I have been slacking on these sale updates and I need to catch up!